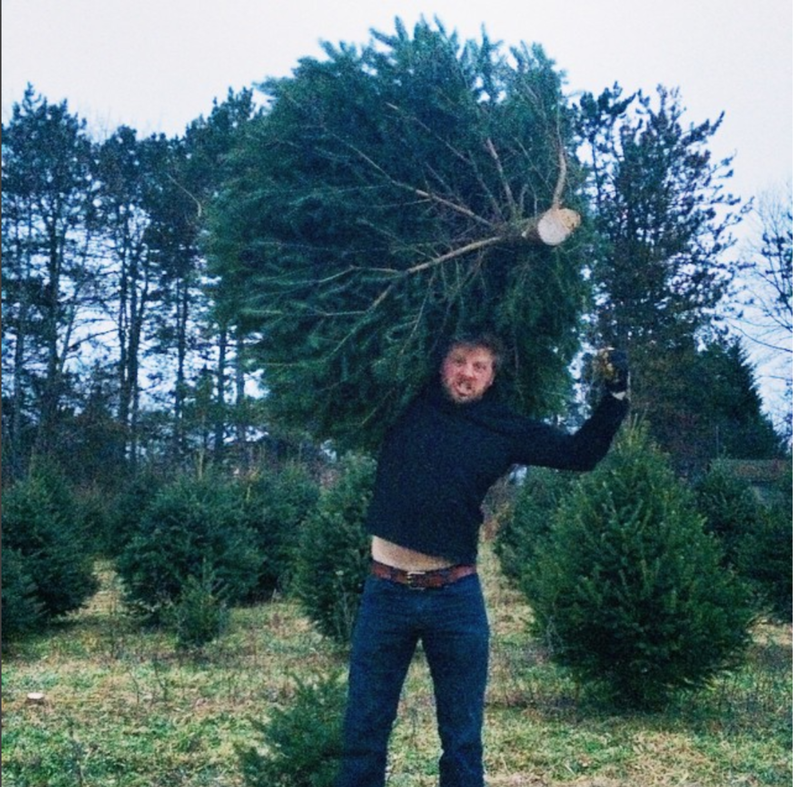 Fifth Annual Ash-Clapp Christmas tree chop! Growing up, the holiday season always felt like pure magic, at least that's how I remember it. Batches upon batches of baked goods meant the smell of freshly baked cookies permeated everything. I come from a BIG family so there were always a lot of people around and they typically hovered around the kitchen. The same kitchen that is so central to my childhood memories of the holidays; there was always something 'cookin-in-there' be it conversation, or actual food. We would spend time together in that kitchen cooking and preparing meals, in the days that surrounded Thanksgiving and Christmas the oven never went unoccupied. Even when I was far too little to help I still remember always wanting to be in there and peaking on what Nan' had cooking. We ate our holiday meals at a long wooden table that was reserved for special occasions. The table was always set perfectly during the holidays - overflowing with beautifully plated food, special silver and glass-ware and napkins, everything felt special and most importantly at the table we were always surrounded by family. My mom (Nanny), she never missed a beat. After the day that we would put our Christmas tree up, we dedicated the evening to decorating it and I can still remember the stories that we were told about many of the ornaments as we trimmed the tree, many of which now adorn my tree. As messy and chaotic as it sounds - every year on Christmas eve' Nanny would completely clear the dining room table, pull all the gifts and wrapping supplies out of some secret storage place and prepare to spend the entire night wrapping gifts. I would spend hours with her helping to wrap presents. And when I was too young to actually help with the wrapping, she would have me place my finger on the ribbon once she had it placed correctly on the gift, so that I could hold it there while she tied the perfect bow. When I lost her in 2003, the holidays became difficult and at a certain point unwelcome. As soon as Autumn arrived I would begin to feel the loss and along with it the sense of wonder and enchantment that had once surrounded the holidays, I became a little bit of a grinch. I will say however, that Christmas in 2003, while deeply feeling the weight of her loss, I felt her love through the presence and efforts of my Uncle, her son. When I had my two sons it helped a lot but it wasn't until five years ago that my holiday spirit was truly rejuvenated. On a snowy December afternoon Brian met me, N & L at the sweetest Christmas tree farm, with two hot coco's, two chai's and an axe in hand. It was my first time at a christmas tree farm in what felt like forever, but more importantly it was the first time Brian met his now boys and let me tell you, it was pure magic. Together we played in the snow, drank hot chocolate and searched for the perfect christmas tree. We chopped it down, dragged it back to the car and headed home. That year my deep love and excitement for the holidays truly returned, I felt as if I were at my childhood home again. It was the beginning of a beautiful new holiday tradition. 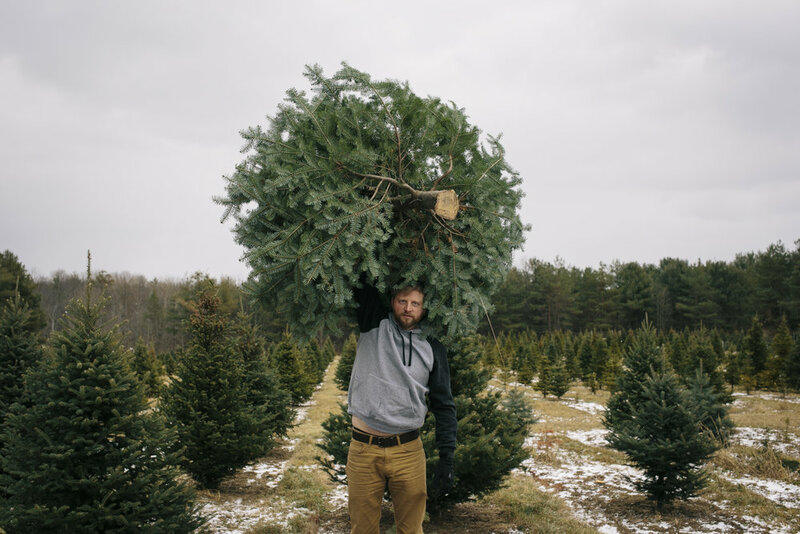 From that magical holiday season going forward we've kept the tree-farm tradition alive and every year we slip off to the same christmas tree farm and search for the perfect tree to chop-down together. Below is a peek into our 2017 adventure. 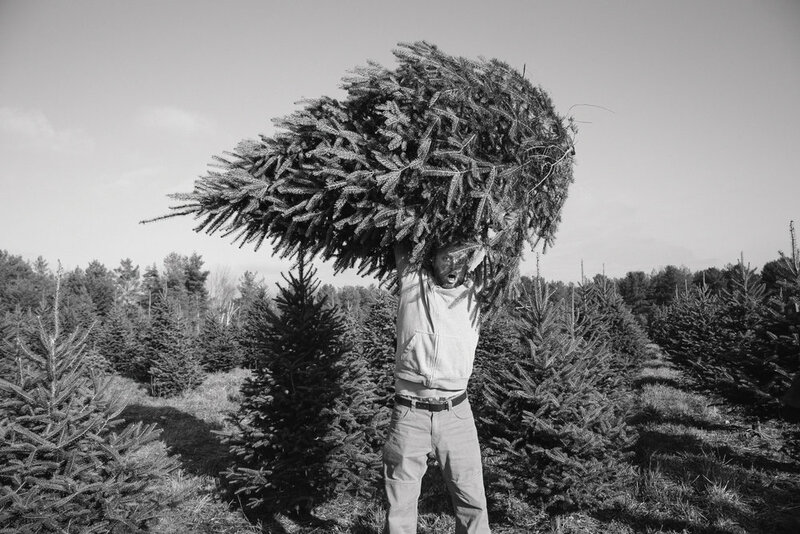 Jam packed with finding the perfect tree, a tiny bit of snow, keeping our tradition alive and a whole lot-a love! I'll have to do some more digging for 2015's pictures! From my weirdos to yours, have yourself a merry little everything!